Compatible Black Toner Cartridge with 10,000 high capacity page yield. 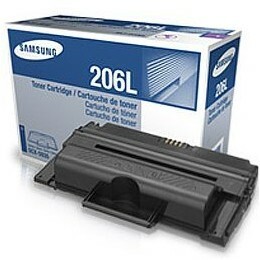 Equivalent to Samsung part number(s): MLT-D206L, MLTD206L, 206L. Fits the following model(s): Samsung SCX-5935, Samsung SCX-5935FN, Samsung SCX-5935NX. Buy our high quality compatible toner for Samsung SCX-5935 with confidence. Join thousands of happy customers who have found our compatible products are equivalent in page yield and print quality. For our compatible products, we offer a 100% Satisfaction Guarantee allowing you to return products within 6 months if you are unsatisfied. The Samsung SCX-5935 is alternately referred to as the SCX-5935FN model, as it is a multifunction laser with faxing and networking capabilities. 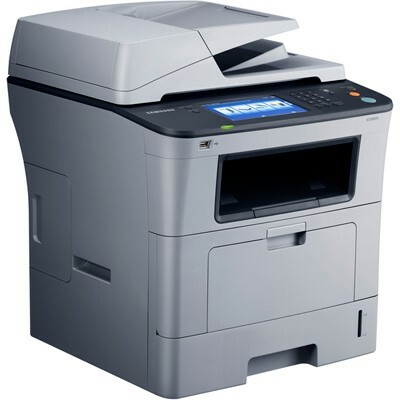 It can copy and scan as well, with printing at up to 35 pages per minute and even duplex printing at 18 pages per minute. Samsung SCX-5935 printer toner comes in high-capacity sizes for a lower cost per page. The SCX-5935 could be a little on the bulky side for small office spaces, but it is otherwise perfect as a networked machine shared among multiple users. It includes an ethernet port, and also includes a USB 2.0 port for individual use. The full-color control panel display might be a little larger than expected, at 7 inches, and it is touch screen enabled for easy navigation and control of the various functions. The ability to send scans to multiple locations or email addresses could eliminate an office's reliance on printing, saving money on Samsung SCX-5935 toner, as well. Paper handling is fairly robust, but what you see is what you get, with no options for upgrading in the future. The 70-sheet duplexing automatic document feeder can continuously feed multi-page documents for quick scanning, copying, or faxing. The main tray has an input paper capacity of 500 sheets, with a multipurpose tray that can handle up to 50 sheets when alternate media is needed. Unlike the small starter toners included with some models, the initial Samsung SCX-5935 toner cartridge has a decent yield of up to 4,000 pages. 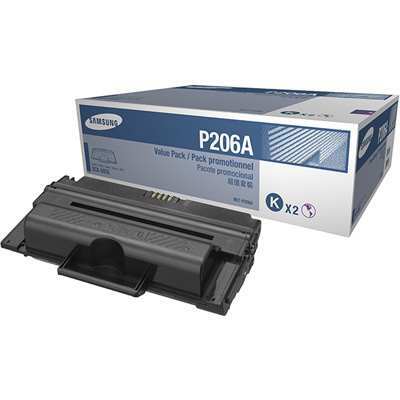 The high-capacity replacement Samsung SCX-5935 toner cartridges come with capacities of 10,000 and 20,000 pages, however, reducing the cost per page significantly. With the convenience of built-in networking, the SCX-5935 is ready to be the central document processing hub of a small office. Features like a duplexing document feeder and a large paper capacity make it an excellent value for the price, but buyers should be aware of the lack of upgrade options.